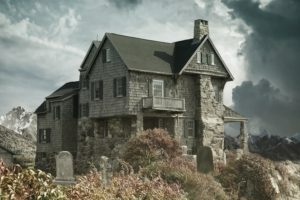 The term evokes trepidation, fear and sometimes terror as ghost stories are passed along and sometimes embellished for the sake of entertainment and shock value. How many of us, as children, were afraid to go down into a basement because of all of the ‘ghost stories’ told around campfires or other gatherings? We may have once known how to help these disembodied spirits but over time, the fear around them created a feeling that they are something to chase away or avoid at all costs. I have read stories of people moving out of their homes because of the spirits that lived with them. I wrote my book, Soul Whisperer: Releasing Lost Souls to help people begin to understand who these spirits are and why they are here so they can begin to move from fear to a place of understanding and compassion. They are in desperate need of our help and the more people that step into service of releasing them, the more we will be able to create healing for both humanity and the earth.